These are simple 4-position screw terminals with 0.1" (2.54mm) pitch pins. 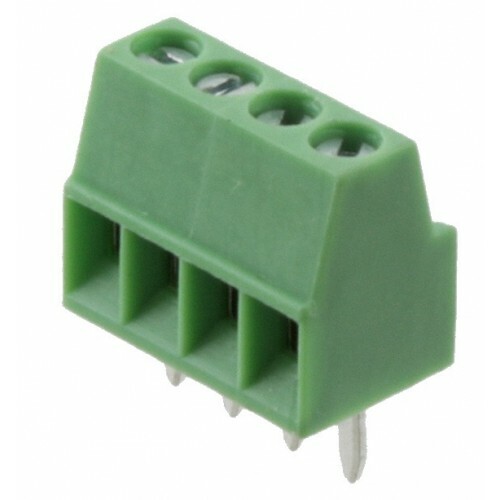 Rated up to 150V @ 6A, this terminal can accept 30 to 18AWG wire. The 2.54mm pitch will line up with standard 0.1" perf boards.